In partnership with Adobe Typekit, the Hamilton Wood Type & Printing Museum will be exhibiting Curious Creatures & Freakish Oddities: A collection of vintage entertainment prints from the Enquirer Collection at TypeCon2018 in Portland, Oregon. 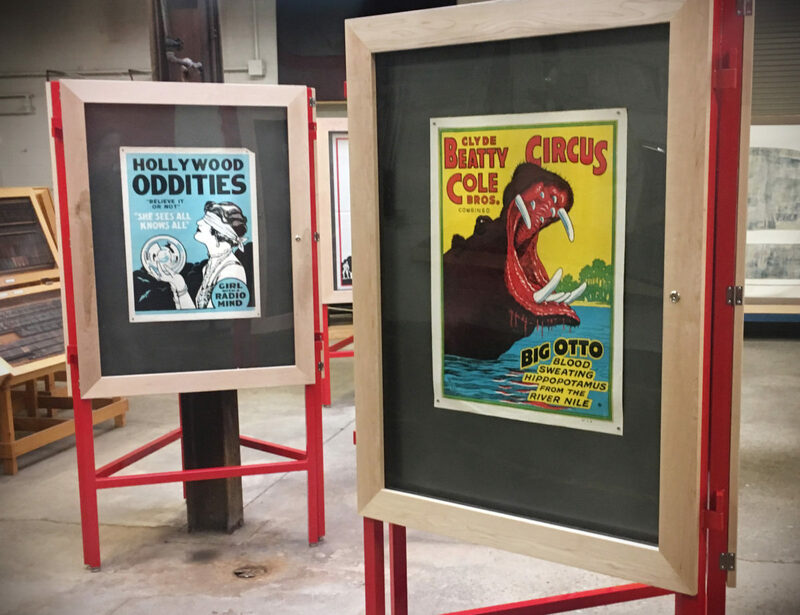 The posters include rare circus and entertainment advertisements made from hand-carved wood blocks that date from the 1930s to the 1950s. The collection was acquired in 2016 from the Enquirer Printing Company in Cincinnati, Ohio. Live printing demonstrations using some of these original blocks will take place during the conference in the Adobe Typekit space. Prints will be available as souvenirs for TypeCon attendees. Previous postFood! Frivolity! Fonts! Next postThe Type Crit Rules! Is this exhibit open to the public? The show would give me a few ideas I could use in my classroom. Hey Frank. Normally the exhibits are not directly open to the public, but if you wandered down to the Hilton, we wouldn’t send you away. The “Curious Creatures & Freakish Oddities” exhibit is located in the Galleria room on the lower Ballroom level of the Hilton Downtown. See you there. Copyright © 1998–2019 Society of Typographic Aficionados. All Rights Reserved.